January 30, 2012 — Portland, OR Pearl has arrived at her new base at the Watergate Yachting Center in Kemah, TX, about half way between Houston and Galveston. She’s off the truck and back on blocks at South Texas Yacht Services, under the Continue reading ...! Tuesday January 25, 2012 — Portland, OR Loading day. Rainy. Freezing. Miserable. Pearl gets loaded to head off to the gulf. Throughout the morning, the theme song from “Smokey and the Bandit” was running through my head. My friends Continue reading ...! Friday January 13 — Portland, OR Pearl was pulled out of the water to be prepped for shipping to her new temporary venue in Texas. In retrospect, this may not have been a good idea given the date, but, …. Firstly, there was the issue of s Continue reading ...! Tuesday Jaunary 10 2012 — Portland, OR Despite having a bunch of fun Navionics on board, I am a firm believer in having paper charts. Unfortunately, depending on how you approach the problem, they can be ungodly expensive for a complete chart s Continue reading ...! 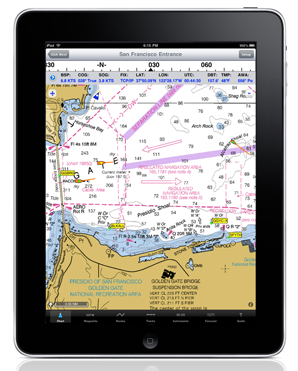 Wednesday, January 11 — Portland OR Being a geek, I love Navionics and all they can do for you. 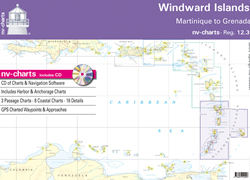 When I started sailing (about 20 years ago), pretty much I had was a chart and a compass. This was pretty much state of the art — if you disco Continue reading ...! January 01, 2012 — Portland, OR New Years Day: the day to set your intentions for the year. My response: GO SAILING! It was a near perfect day. Cold. Clear. Bright. Winds out of the South, South East at 17, gusting to 25. Perfect sailing weathe Continue reading ...! Author AjitPosted on January 5, 2012 January 28, 2012 Categories GeneralLeave a comment on Happy New Year!